CABE-Meeting is a user-friendly, web-based service specifically designed to assist the board,superintendent and central office staff in preparing for and running board of education meetings. Do you want to save your district money? Do you want to utilize technology to enable staff to be more efficient? Do you want to focus more of your human and finiancial resources on increasing student achievement in your district? Do you want to enhance communication with your community? Do you want to model the methods that should be used to infuse technology in your schools? If you answered “yes” to at least one of the above questions, read on. CABE-Meeting can help you. Eliminate the need to print and distribute board member packets. Save time that translates into dollars preparing and delivering board meeting materials. Free up resources and help move the district further in increasing student achievement. Make meeting information readily available to the community electronically. Create minutes during the meeting, eliminating the need to do them the following morning. Search archived meeting-related documents. No more piles of paper! No more time-consuming, tedious searches through piles and piles of paper! Protect your meeting documents with password-protected access for certain features and audiences. Enable you to print and download all documents to a flashdrive or CD. Your district doesn’t have to go completely paperless to benefit from CABE-Meeting. For example, you may use CABE-Meeting to distribute meeting agendas and attachments and use paper packets at your meeting. You will still save your district money! Click here to view an overview webinar. Take a few minutes by clicking here to complete our CABE-Meeting cost analysis worksheet (also located at the bottom of this page) and see how much your district can save in one year. Districts can save thousands of dollars each year by using CABE-Meeting. See how much you can save with CABE-Meeting. 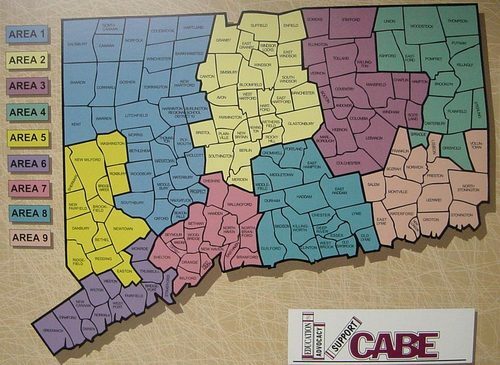 Click here for CABE Member Cost Analysis Form. For more information or to schedule a demonstration for your board, call Lisa Steimer at CABE (800-317-0033 or 860-571-7446) or email lsteimer@cabe.org.